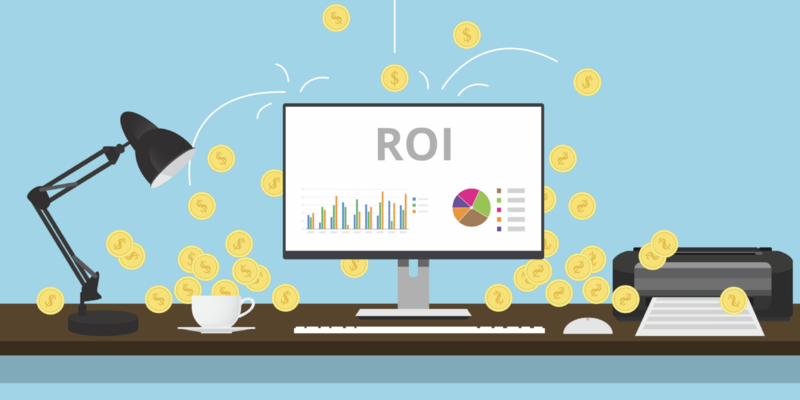 What Is the ROI of Inbound Marketing? Stay up to date with the latest marketing, sales, and service tips. Inbound marketing is the most successful long-term digital marketing strategy out there today. Today’s world is consumer-driven, no matter whether that consumer is a stressed out homemaker or a high-powered B2B decision-maker. Not everyone influenced by inbound marketing knows it by that name, but all have come to expect it as the main way any brand should relate to them. Simply, inbound marketing focuses on the needs of your would-be buyer in a way that old-fashioned, high-pressure outbound marketing can’t. In a world with hundreds or thousands of potential vendors, nobody but nobody has time for pushy tactics from a random stranger. But ... there is one catch that leaves many companies wondering, at first, how they can make the jump to inbound: It works on a higher level, so measuring its ROI requires a fresh approach. It’s not difficult, but it does call for a change in mindset. No matter what you have to offer, everything starts with traffic. But it has to be the right traffic. It raises visibility by generating great content that gets shared and raises search ranking. It allows you to help, inform, and connect with your ideal buyers in the prospect stage. As long as your inbound marketing campaigns are speaking to the right audience, you’ll start to attract quality traffic sooner rather than later. This is essential: Traffic that uses up your bandwidth and other technical resources but doesn’t convert is pure overhead. Although inbound marketing takes some time to gain traction, it is more cost-effective than paid traffic in the long run. It also accumulates momentum over time – unlike pay per click (PPC) traffic, which has a tendency toward flat or even diminishing returns. Once established, virtually free traffic from inbound marketing can fuel an entire enterprise. Web traffic, though vital, is only the first step in the value chain. It’s raw material that has to be directed and fashioned into bottom line results. Where inbound marketing really excels is in the ability to find and cultivate relationships with truly qualified leads. Thanks to the way it incorporates your knowledge of your customers – through buyer journeys, personas, and more – inbound marketing is laser-focused on leads who are ready to do more than just think about the problem at hand. Learn facts and terminology they’ll need to tackle their problem or question. Establish buying criteria to help them understand what a solution looks like. Compare and ultimately select a solution that will deliver their requirements. Whereas outbound marketing is a dragnet that tries to capture everyone who might even possibly be interested in a solution, inbound is a guided journey from a defined pain to an ideal solution. Every piece of content fosters trust and shows the value your future customers can expect. The more time you can spend on high-value leads who are ready to convert, the better. 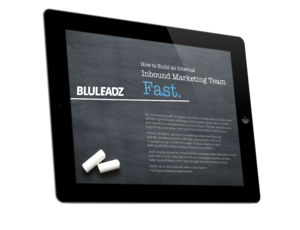 Inbound marketing can’t do everything, but it automates away a lot of time-consuming work. Virtually every time you create a new piece of Web content, for example, that content can continue building search visibility and attracting leads forever. Since your campaigns naturally do lots of the heavy lifting in nurturing and maintaining the lead relationship, your sales team will have more time for one-to-one interaction with best-qualified leads. Ultimately, that means more conversions at every step, including the big sale. Because more customers will reach the end of their journey, your marketing team will have more fresh insights on what your different buyer personas are thinking right now. That, in turn, means you can refine your marketing campaigns to zoom in on emerging needs and do even better next time. Like all the best digital marketing, inbound is data-driven. The exact ROI of a campaign comes into view quickly, but it requires certain information up front. These include things like the length of your average sales cycle and average revenue per customer. Having a baseline means it’s easy to detect positive changes. Of course, every enterprise is different. Some of these factors can be tough to track and compile. Putting the right analytics solutions in place to clarify your data is step one to lasting success. Your Team Hates Your New Sales Process. How Do You Turn the Tables? What If You Disagree With Your Marketing Manager's Goals?